Agora SAS is a French based company, specialized in subscription based services and SaaS offers. Its expertise is the After Sales business of consumer goods. AGORA PLUS: the website www.agoraplus.com or all these applications. Agora Sas: Company based at 39 avenue d’Iéna 75116 Paris, owner of the entire AGORA PLUS solution and its content. Customer: any professional or natural person capable within the meaning of articles 1123 and following of the Civil Code, or legal person, who uses AGORA PLUS subject of these general conditions. 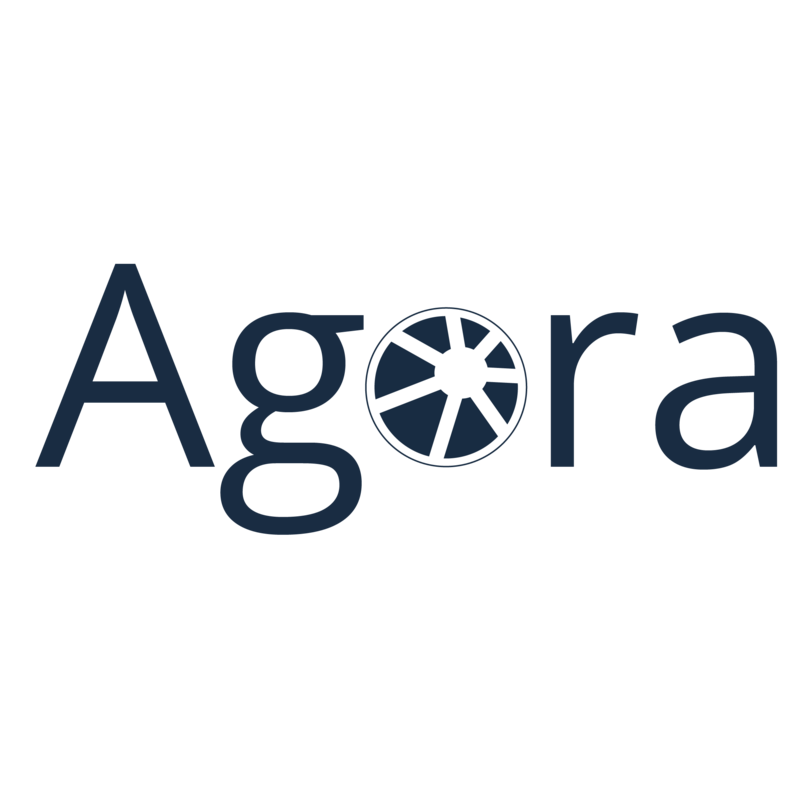 Services: Agora Sas provides Customers with services enabling them to access, create or modify Content via AGORA PLUS. Content: All the elements constituting the information presented on the Site, in particular texts – split view – technical documentation – images – videos. Customer information : Hereinafter referred to as « Information (s) » which corresponds to all personal data that may be held by Agora Sas for the management of your account, customer relationship management and for analysis and statistics purposes. Personal information: « Information that allows, in any form whatsoever, directly or indirectly, the identification of the natural persons to whom it applies » (article 4 of law n° 78-17 of 6 January 1978). We collect personal data to manage our customer relationship with you, target marketing and develop products and services according to our customers’ preferences. We process your personal data only for predefined and lawful purposes : your position to determine ressources needed to be allocated to your country specific services and the search or previous website you visited before accessing our websites to optimize our advertising. Contact forms enable you to reach out to us via our CRM. The data is retained in our CRM and follows the same policy than our subscribed customer. A « cookie » is a small information file sent to the User’s browser and stored on the User’s terminal (e.g. computer, smartphone), (hereinafter « Cookies »). This file includes information such as the User’s domain name, the User’s Internet service provider, the User’s operating system, and the date and time of access. Cookies do not risk damaging the User’s terminal in any way. Agora Sas is likely to process the User’s information concerning his visit to the Site, such as the pages consulted and the searches carried out. This information allows Agora Sas to improve the content of the Site and the User’s navigation. Cookies facilitate the navigation and/or provision of the services offered by the Site, the User may configure his browser so that he can decide whether or not to accept them so that Cookies are stored in the terminal or, on the contrary, that they are rejected, either systematically or according to their issuer. The User may also configure his browser software in such a way that the acceptance or rejection of Cookies is offered to him from time to time, before a Cookie is likely to be saved in his terminal. Agora Sas informs the User that, in this case, not all the functionalities of its navigation software may be available. If the User refuses to accept cookies in his or her device or browser, or if the User deletes cookies registered there, the User is informed that his or her browsing and experience on the Site may be limited. This could also be the case when AGORA PLUS or one of its service providers cannot recognize, for technical compatibility purposes, the type of browser used by the device, the language and display settings or the country from which the device appears to be connected to the Internet. If applicable, Agora Sas declines all responsibility for the consequences related to the degraded operation of AGORA PLUS and any services offered by Agora Sas resulting from (i) the refusal of Cookies by the User (ii) the impossibility for Agora Sas to record or consult the Cookies necessary for their operation because of the User’s choice. For the management of Cookies and User choices, the configuration of each browser is different. It is described in the browser’s help menu, which will allow you to find out how the User can change his or her cookie preferences. AGORA PLUS may occasionally use Internet tags (also known as « tags », or action tags, single-pixel GIF, transparent GIF, invisible GIF, and one-to-one GIF) and deploy them through a web analytics partner who may be located (and therefore store the corresponding information, including the User’s IP address) in a foreign country. This technology allows Agora Sas to evaluate visitors’ responses to AGORA PLUS and the effectiveness of its actions (for example, the number of times a page is opened and the information consulted), as well as the use of this Site by the User. The external service provider may collect information about visitors to our wesbite and other websites through these tags, compile reports on the activity of the Site for Agora Sas and provide other services related to the use of the Site and the Internet. We do not share you data outside of our direct contractors, working on the support, maintenance and upgrade of our websites and application. The website contains a number of hypertext links to other sites, set up with the authorization of Agora Sas However, Agora Sas has no possibility of verifying the content of the sites thus visited, and therefore assumes no responsibility for this fact. For users that use functionalities of our website to contact us, we also store the personal information they provide in their user profile. Their data then falls under the general data policy of our applications. See our application standard policy if you are a subscribed customer or you contacted us. Visitor’s data that contacted us are stored within our CRM, hosted in the EU. For Personal Data collected in the context of creating the User’s personal account and browsing AGORA PLUS, the person responsible for processing Personal Data is: Agora Sas. The latter is represented by its president. As the controller of the data it collects, AGORA PLUS undertakes to comply with the legal provisions in force. In particular, it is responsible for establishing the purposes of its data processing, providing its prospects and customers, from the collection of their consents, with full information on the processing of their personal data and maintaining a register of processing in accordance with reality. Whenever Agora Sas processes Personal Data, Agora Sas takes all reasonable measures to ensure that the Personal Data is accurate and relevant to the purposes for which Agora Sas processes it. Agora Sas does not sell your personal data, which is therefore only used out of necessity or for statistical and analytical purposes. As soon as Agora Sas becomes aware of the death of a User and in the absence of instructions from him, it destroys his data, unless their storage is necessary for evidential purposes or to meet a legal obligation. 39 avenue d’Iéna 75116 Paris, FRANCE. Requests to delete Personal Data will be subject to the obligations imposed on Agora Sas by law, in particular with regard to the conservation or archiving of documents. Finally, Agora Sas Users can file a complaint with the supervisory authorities, and in particular with the CNIL (https://www.cnil.fr/fr/plaintes). Agora Sas will not process, host or transfer Information collected about its Customers to a country outside the European Union or recognized as « not adequate » by the European Commission without first informing the customer. However, Agora Sas remains free to choose its technical and commercial subcontractors on condition that they provide sufficient guarantees with regard to the requirements of the General Regulations on Data Protection (RGPD: No. 2016-679). Agora Sas will take all necessary precautions to preserve the security of the Information. In particular, it will not be communicated to unauthorized persons. However, if an incident affecting the integrity or confidentiality of Personal Data Information is brought to the attention of Agora Sas, Agora Sas will inform the Customer as soon as possible and detail the corrective measures taken. AGORA PLUS does not collect any « sensitive data ». The User’s Personal Data may be processed by subsidiaries of Agora Sas and subcontractors (service providers) exclusively for the purposes of this policy. Within the limits of their respective attributions and for the purposes mentioned above, the main persons likely to have access to AGORA PLUS Users’ data are mainly our customer service agents. Regardless of the efforts made, no method of transmission over the Internet or electronic storage is absolutely secure and. If we become aware of a security breach, we will notify the users concerned so that they can take appropriate action. Our incident notification procedures take into account all our legal obligations, at national or European level. We are committed to fully inform our Customers of all matters relating to their account security and to provide them with all the information necessary to comply with their own regulatory reporting obligations. No Personal Data is published without the user’s knowledge, exchanged, transferred, assigned or sold on any medium whatsoever to third parties. To ensure the security and confidentiality of Personal Data, AGORA PLUS uses networks protected by standard devices such as firewalls, pseudonymization, encryption and passwords. When processing Personal Data, Agora Sas takes all reasonable measures to protect it from loss, misuse, unauthorized access, disclosure, alteration or destruction.